5 out of 5 stars - BATH AND BODY WORKS FINE FRAGRANCE MIST BODY SPLASH SPRAY 8 FL OZ YOU PICK!! 19 product ratings19 product ratings - BATH AND BODY WORKS FINE FRAGRANCE MIST BODY SPLASH SPRAY 8 FL OZ YOU PICK!! The fragrance you love with an all new look! CONCENTRATION: Body Spray. SIZE: 8.0 oz / 236 ml. All testers are sold unused, with the entire original quantity in the container. FORM: Spray. CONDITION: New. WILD BLUEBERRY. FINE FRAGRANCE MIST! Fragrance Mist. Bath & Body Works. FOREVER RED. 3 fl oz / 88 mL. WARM VANILLA SUGAR. Fine Fragrance Mist. Bath & Body Works. 8 Fl Oz / 236 Ml. Bath & and Body Works ~ IN THE SUN ~ Fine Fragrance Mist Spray Splash 8 oz. New! Fine Fragrance Mist. Bath & Body Works. One (1) full size 8 oz. (236 ml) bottle. ~ In The Sun ~. 5 out of 5 stars - Bath & and Body Works ~ IN THE SUN ~ Fine Fragrance Mist Spray Splash 8 oz. New! 23 product ratings23 product ratings - Bath & and Body Works ~ IN THE SUN ~ Fine Fragrance Mist Spray Splash 8 oz. New! ~ Vanilla Bean Noel ~. ~ Fresh vanilla bean, sugar cookies. Fine Fragrance Mist. Bath & Body Works. One (1) full size 8 oz. (236 ml) bottle. Bath and Body Works Forever Red Fine Fragrance Mist - 8 oz. Condition is New. Shipped with USPS First Class Package. BATH AND BODY WORKS AROMATHERAPY PILLOW MIST 5.3 oz/156ml - U CHOOSE SCENT! 4.5 out of 5 stars - BATH AND BODY WORKS AROMATHERAPY PILLOW MIST 5.3 oz/156ml - U CHOOSE SCENT! 8 product ratings8 product ratings - BATH AND BODY WORKS AROMATHERAPY PILLOW MIST 5.3 oz/156ml - U CHOOSE SCENT! Fine Fragrance Mist. Bath & Body Works. Set of Three. ~HAPPY VIBES~. Fine Fragrance Mist. You Will Receive a Set of 3 Bottles. ~CHESTNUT & ARGAN ~. Fine Fragrance Mist 8 fl oz. Bath & Body Works. 5.3 fl oz / 156mL. 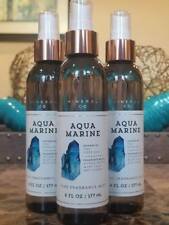 Sea Mineral All - Over Mist. Bath and Body Works. You've waited forever for this — our most luxurious, long-lasting fragrance ever is back! FINE FRAGRANCE MIST SPRAY. BATH AND BODY WORKS. FOREVER RED. 8 FL OZ / 236ML. we will gladly work with you to find a solution. ~ Winter Candy Apple ~. Bath & Body Works. ~ Red apple, winter rose petals, candied. One (1) regular size 4.9 oz. (146 ml) bottle. orange, maple leaf & fresh cinnamon ~. Trending at $9.65eBay determines this price through a machine learned model of the product's sale prices within the last 90 days. Sensual Amber. Bath & Body Works. (8 FL OZ/ 236 mL). We have many other Bath and Body Products. FINE FRAGRANCE MIST SPRAY. BATH AND BODY WORKS. 8 FL OZ / 236ML. we will gladly work with you to find a solution. A wondrous blend of almond flower, white iris & whipped vanilla. CONCENTRATION: Body Spray. SIZE: 8.0 oz / 236 ml. All testers are sold unused, with the entire original quantity in the container. FORM: Spray. Fine Body Mist Body Lotion Gift Set. Bath and Body Works. Fragrance Notes. Bath & Body Works Pink Chiffon Fragrance Mist ~ 8 oz ~ Ships Same Day Free!!! Bath & Body Works Fragrance Mist. Pink Chiffon. Fine Fragrance Mist. Bath And Body Works. Fine Fragrance Mist. Bath & Body Works. FINE FRAGRANCE MIST SPRAY. In The Stars is a warm, sparkling blend of starflower, sandalwood musk, sugared tangelo, white agarwood & radiant amber. BATH AND BODY WORKS. 8 FL OZ / 236ML. IN THE STARS. we will gladly work with you to find a solution. 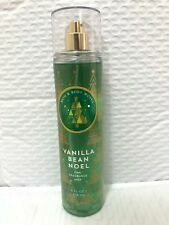 BATH AND BODY WORKS AMBER & ARGAN FRAGRANCE BODY MIST 8 OZ Retired & RARE! Bath & Bodyworks Body Works 8 oz. Fine Fragrance Mist - Spray - $5 off for 4! 5 out of 5 stars - Bath & Bodyworks Body Works 8 oz. Fine Fragrance Mist - Spray - $5 off for 4! 2 product ratings2 product ratings - Bath & Bodyworks Body Works 8 oz. Fine Fragrance Mist - Spray - $5 off for 4! Fine Fragrance Mist (8 fl oz/ 236ml). Bath & Body Works. In The Star. WILD BLUEBERRY. Fragrance Mist Body Splash Spray. Bath and Body Works. 8 fl oz Full Size. BATH AND BODY WORKS*COCONUT SUGARCANE*Fragrance Mist Spray*NEW*Free Shipping! COCONUT SUGARCANE . FRAGRANCE MIST. BATH AND BODY WORKS. BETTER SERVICE. A petal-perfect blend of white gardenia, jasmine petals & magnolia blossom. CONCENTRATION: Body Spray. SIZE: 8.0 oz / 236 ml. All testers are sold unused, with the entire original quantity in the container.